Cleaning your tripod may appear daunting at first, it is a fairly simple task that will add years of use. Even if you don’t go all out “Special Forces” in the mud and gunk with your gear, you should still practice a little routine cleaning after each shoot. Any time you submerge your tripod in water or mud, you should give it a more thorough cleaning to ensure you don’t embed grit between the plastics and carbon fiber. 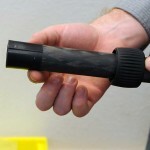 We cover Versa & Gitzo maintenance in one tutorial, since there is a lot of crossover. 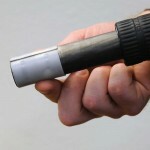 If any of the cleaning steps vary for a Gitzo tripod, you will see that variation noted. 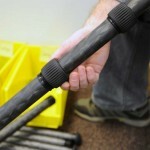 We’ve also put together a series of videos on the various maintenance procedures for our Versa Tripods. Unscrew the top twist lock. 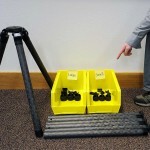 If you have a tripod with 3 leg-sections per leg, set up 2 bins/boxes for parts. 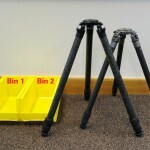 Set up 3 bins if your tripod has 4 leg-sections per leg. These bins will allow you to keep the different sized tube connections separate. 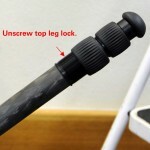 When top twist lock is completely unscrewed, pull the lower leg fully out from the top leg section. Place the two plastic pieces and the twist lock in one container. 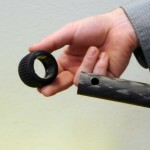 Gitzo — The internal plastic pieces on a Gitzo tripod are white. Before dropping these parts in the bin, inspect them for wear. Exampled below is a potential point of failure. 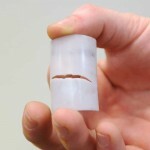 If your anti-twist sleeve has failed (cracked or broken), contact Really Right Stuff. Repeat the above steps until all of the lower legs have been removed. Keep all the plastic pieces and twist locks from the top tube in one container. We’ve marked our containers “Large” and “Small” to make sure we don’t mix up the sizes. Continue removing all leg sections into their separated bins. 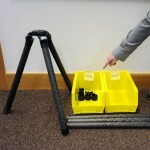 Remember, if your tripod has 4 leg-sections per leg, you’ll need to use 3 bins. Rinse the threaded end of each tube under gently running water. Rinse the entire tube if you’ve been in any salt water. You may have to use a soft toothbrush to help clear fine grit out of the threads. Rinse the plastic pieces and twist locks under gently running water. 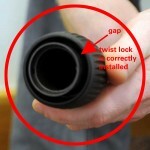 Inside each twist lock, rotate the internal plastic sleeve under the running water to rinse out any trapped grit. Continue rotating the internal plastic sleeve until it rotates smoothly and you can’t feel any grittiness. Then dry each piece thoroughly, including the legs. Now it’s time to put your tripod back together. Start with the largest leg sections first. First replace the twist lock on the carbon fiber leg section. Orientation matters! 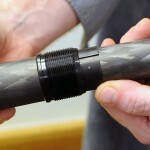 The threads on the inside of the twist lock should go onto the carbon fiber leg first. Slide the twist lock partway down the leg section and pull two plastic pieces from the bin marked “Large.” Look on the inside of each plastic piece; there is a raised round area on the inside that will drop into the hole on the end of the leg section. 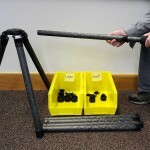 RRS Tripods — Orientation does not matter with the plastic pieces. As long as the raised round area drops into the hole they are installed correctly. There will be an obvious gap between the two plastic pieces. 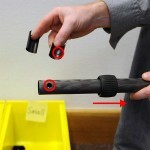 Gitzo — Orientation of the plastic pieces DOES matter in a Gitzo tripod. 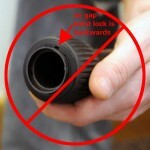 Be sure you properly align the plastic pieces so that they are NOT offset as shown in this image. Now grab the top leg section that is still attached to the apex of the tripod. At the end of this tube you will see a very small white arrow. Line up the gap between the plastic pieces from Step 6 with this arrow and insert the leg section. Before securing, make sure the threaded white arrow of the attached section lines up to the white arrow you are attaching too. If not, rotate until both arrows are approximately lined up. Push the twist lock up and thread it onto the upper leg section. 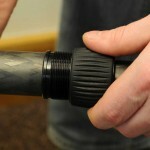 Apply a very small amount of lubricant on the threads to lubricate the twist locks. We suggest Phil Waterproof Grease*. Beware that lubricant can also attract dirt and grit, so don’t overdo it. Continue with all of the remaining leg sections. Look over the entire tripod and make sure everything is in its place, that you don’t have any leftover pieces, and that the twist locks are all working. You’re done! 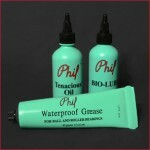 *We recommend Phil Wood Waterproof Grease for your twist locks. Add one or two drops of this thick oil to the threads, then rotate the twist locks back and forth to evenly distribute. Waterproof Grease is the best lubricant we’ve found for this application. Also, we like the fact that all Phil Wood products are made in the USA – they are completely designed, manufactured and assembled in San Jose, California. Great post, very helpful. Thanks! I’m not sure, but Vanguard tripods may have similar construction and design if they use twist-locks on the legs. I recommend contacting them directly for the ideal cleaning procedure. Thank you. Have had trouble since using two tripods in the salt water and mud flats in Katmai. 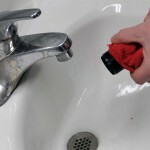 Now know how to approach a good cleaning and get them back to functioning correctly. I have a RRS TVC-33 tripod. Its never been exposed to severe wx or extreme environment but I do use the above procedure (also outlined in the versa tripod manual) to clean it. Sooo— I’ve never experienced sticking, grittiness, binding etc. It is outside almost every day from early spring to late fall supporting my DSLR as I photograph local wildflowers. I don’t tear it down & clean it daily but at least once/month. I do wipe it down with a clean cloth each time I use it. Wildflower photography is a slow methodical business so I can ensure the tripod is not jammed in the mud etc. This plus a thorough wipe-down after each use is probably why it still functions like new. I’ve got an Induro carbon fiber tripod. Looks very similar in its workings to Gitzo. Do you know if any of your procedure would differ for the Induro?? I would recommend you contact Induro for any recommended procedures, but if the legs use the same mechanisms then the same principles should apply. Thanks for the tip. 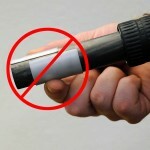 However, regarding step 7 where there is a small white arrow at the tip of the tube, is this common for Gitzo tripods? 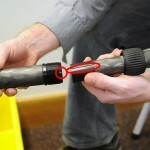 I have a Gitzo Systematic Series 3, however, i am not able to find this arrow at the tip.. Appreciate your omments on this.. I don’t believe Gitzo tripods have such a mark – that’s a feature on RRS tripods that makes aligning the anti-twist sleeves easier. You recommend the grease for lubrication but then say to place 1-2 drops of thick oil. I’m confused, could you please clarify which should be used: the Waterproof Grease or the Tenacious Oil. I have used Phil Wood products for bicycles and they make good stuff. You’ll definitely want to use the grease as it’s less likely to seep out of the twist lock. Tenacious oil works great in cooler climates but we prefer the Grease as a more versatile choice. Thanks for great how to. I cleaned my tripod this morning and lubricated with Boeshield T9 (already had it on hand). Now it is smooth again. Thanks. The Tenacious Oil certainly can be used, however in warmer climates you may find it seeps out a bit and gets on the leg tubes, which is what we try to avoid. We usually use the Tenacious Oil on our quick-release clamps. The reason the grease works better on the tripod twist locks is because it’s A) easier to apply and B) withstands warmer temperatures without spreading out too much, so it’s less likely to seep out. Any waterproof grease will do – doesn’t need to be Phil’s. We simply prefer that brand because like ours it’s an American-made product. If you have further questions, feel free to email me at jim@reallyrightstuff.com. Just finished my first (of many) days in Lower Antelope Canyon with Alain Briot, and the super-fine dust in the canyon worked it’s way into my Gitzo. 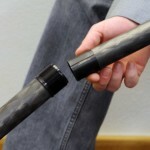 With your superb instructions I was able to clean and reassemble the tripod–now good as new! Thank you. Great to hear Bill! Please make sure to share this post with any other tripod users you know – it’s truly helpful no matter what tripod you might be using! Great article! I just cleaned and lubed my TVC-33 for the first time following over a month of use, including use in a foot of water in our backyard cypress swamp, and a few days spent in a saltwater marsh photographing Reddish Egrets. Every time they moved, I moved, and keeping sand off of my gear was impossible. One of the many reasons I went with the RRS was that I knew I would occasionally be using it in and around saltwater. I’m glad I did it the first time in the house when I wasn’t rushed, as I referred back to this article a couple of times in the process. The first time I missed that when you insert a section that the arrow at the bottom of that section should line up with the arrow of the section that you’re inserting it into, but now I know I can disassemble and reassemble quickly in the field if necessary. Putting it back together I was really impressed with how tight the tolerances are, and I understood better why this tripod is so rock-solid. Thanks very much for the article! Quick question – I have grease stains on the carbon fibre leg sections of my Gitzo tripod (probably seepage from the factory over greasing the leg locks). Is there any way to safely remove the oily stains or are they permanent? There seems to be graphite powder on the anti twist sleeves and other parts inside the tripod. Are you recommending not adding the graphite powder back in to anti twist sleeves etc when reassembling? There’s no added powder or other material – what you’re seeing is a normal wear-in dust from inside the freshly-made carbon tubes. We do our best to get that cleaned out as much as possible during preparation here in the assembly, but you will see more shedding of carbon dust over time, especially in the first few months of use. I’d recommend wiping out the inside of the legs with a damp rag to remove that dust – keeping fine grit and other foreign particulates out of the twist locks and moving parts will drastically increase the life of a tripod! What relationship does RRS have with Gitzo, if any? I am considering a tripod and ball head purchase. Do to recent shortages, I may consider a cross-brand combo such as a Gitzo tripod and BH55 RRS ball head. Don’t know now if this makes a lot of sense or would be problematic. We no longer sell Gitzo products – we stopped once we made our own tripods to replace them. You’ll find the basic functions very similar – and our BH-55 will certainly mount on a Gitzo platform without anything special required. That being said, we did engineer our tripods to offer superior performance and ergonomics, and they deliver on both fronts. I think you’ll find a Really Right Stuff tripod is well worth the wait, which should only be about 6 weeks at the most if you order today. If you have any other questions feel free to send us an email at info@reallyrightstuff.com. I want to say first that I have no business relationship with RRS. Last winter I realized that I needed a sturdier set of legs than my Manfrotto CF set, and that I wanted longer legs and also a leveling feature. I did a lot of research and ordered a set of Gitzo, Series 2. When they arrived my non-photographer husband commented on how skinny the lower sections were compare to my Manfrotto. I did some test shots and found that it wasn’t nearly as stable, and it also couldn’t be taken in salt water, which I occasionally need to do. I did like the leveling feature, especially that the level was in a place that you could see it from any position. More research and I learned that the RRS could be taken in salt water and field stripped w/o tools. I returned the Gitzo and bought the TVC-33 with the leveling base and long handle, and absolutely love it. The bottom section of the legs is the same diameter as the top section of my 055-CX3 Manfrotto legs. It’s solid as a rock and has far exceeded my expectations in every situation. I shoot a lot of video, sometimes in windy conditions, and there is no comparison between the stability of the RRS and the Manfrotto. In one of RRS YouTube video, Eric used Super Lube for the twist locks, but in this blog post, Phil Wood grease is recommended. Why the change? We prefer to use the Phil’s products because they’re a US-made company just like us, however Super-Lube is more widely available to customers. Either one will do great at the uses we prescribe it for – in fact most similar waterproof greases should do fine as well. If you have any other questions, please feel free to email us at info@reallyrightstuff.com. Thanks for your reply Jim. This is precisely the information I was looking for. I could figure out how to disassemble the legs, but wasn’t sure how best to clean out the grit. Your suggested toothbrush and running water worked fine. And then what grease to use? Ah, good old Phil Wood bicycle grease, I even have some already… Thank you, thank you! It’s not possible to buy Phil Waterproof Grease in Europe, what are good alternatives for those in Europe? How are you removing the grease from the twist locks? Though I haven’t used any water proof grease yet in the cleaning of my tripod, it is something that I plan on doing. I work at the beach a lot, and get sand in the twist locks, and can imagine that grease will trap and hold the sand, more than not having it. I’m thinking that warm, mildly soapy water and a toothbrush will need to be used for a thorough cleaning. Thoughts? Also, I’m assuming that most greases are petroleum based, is there any hard in using them with the plastics in the twist locks or sleeves? I’m having difficulty cleaning beach sand out of the twist lock internals. I’ve followed the video instructions using water and several brushes, and have repeated the cleaning several times, but there’s sand trapped up inside between the top of the thread and the internal rotating plastic clip. In the last attempt I used some alcohol in an effort to remove some the the original factory grease, but I just cant get the upper threads clean. The twist lock feels fine on the first part of the leg thread, but near the end when it begins to clamp, the action gets gritty. Im following up to my earlier post to say I was able to thoroughly clean sand from the twist locks by removing the gibb, something that is mentioned in one of your cleaning videos but not the others. This proved to be an essential step for me. Once I removed the gibb, I was able to clean the full length of the twist lock thread with a brush, water and a little alcohol. All the sand is gone and the threads engage smoothly. The clean tripod is back together and working well. After cleaning my RRS tripod on the road (got some sand from shooting on the beach) very quickly, every time I extend the legs, I get a lot of grease on my hands. What did I do wrong or have i just not cleaned it properly? Any tips on drying the inside of the tripod legs more quickly than letting them air dray which can take hours? We recommend that you use a cloth, a piece of string/rope, and a bolt nut. What you can do is tie a corner of the cloth to one end of the string, tie the bolt to the other end of the string, and then drop the bolt through the tripod and pull the cloth through to soak up some of the water. 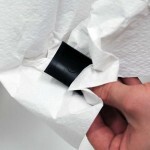 You will still probably need to let it air dry, but this should speed up the process.